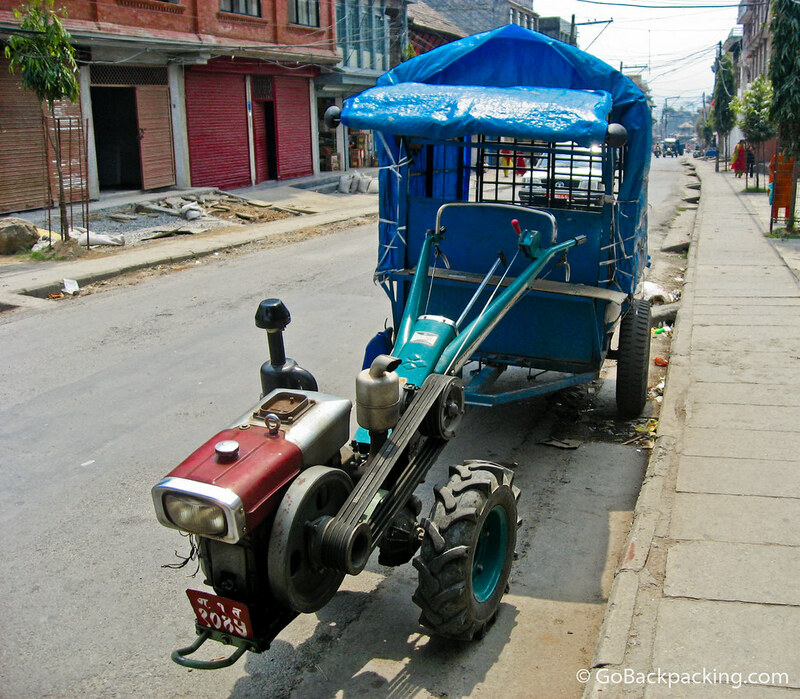 Traveling around the world, you see some interesting modes of transport, however this weird vehicle I saw around Pokhara, Nepal has to be an original. Half rickshaw, half lawnmower, I'm dubbing it the rickmower. I can only imagine what it is like to drive that thing! I don’t imagine it comes with power steering! As a Chinese, I assure you this is not of Nepal origin. As a child some 20 year ago, this is what you would found in countryside of China. The engine is used in all kind of machines from transportation to farming. We call it ??? or tractor. To steer this thing, turn both handle left-right. The gear shift is the middle black handle. Cannot remember how to brake. One thing is for sure, you have to manually start the engine by turning a crank inserted in front of the machine. Normally driver keep the crank under the seat. Look less decorated then China version, they used to have some cushion seat double a small storage space. Forget to mention it’s water cooled and burns diesel? Awesome Ian, thanks for letting us know it’s of Chinese origin! These vehicles are extremely common in the more rural areas of China. And, in the always utilitarian fashion of the Chinese, the motor section of the front is often repurposed for anything from water pumps to construction winches to almost anything you might need to power. Hehe, I think I saw that same vehicle in Cambodia! Really kind of clunks along!